Freshly Picked Beats is bringing you the best new music on a regularly updated Spotify playlist, making it easier than ever to keep up with the music world. With each update, we’ll be posting a companion article highlighting our 10 favorite additions to the playlist. Here’s our top songs from the most recent update, in no particular order. Alexander Lewis & Brasstracks – All of the Lights – Kanye West’s epic anthem has been re-imagined as a soulful instrumental track, thanks to two of the rising producers behind the growing trend of live brass instruments in electronic music. The track is nostalgic and fresh all at once. Ganja White Night & Boogie T – Flava – This is another collaboration that was destined to happen, but in a whole different world of sound. The inescapably catchy song is all about the riddim, bass music’s new favorite sub-genre, and melds both artists unique styles perfectly. Aminé – Turf – The riding Portland rapper’s new track is slower and more soulful than his previous breakout tracks, but still as good as ever. This kid has undeniable talent, and won’t be going away anytime soon. Manila Killa & AOBeats feat. Shaylen – I’m Okay (Kid Froopy Remix) – One of my favorite songs of the summer just got the remix treatment, and Kid Froopy’s contribution is amazing. The funky guitar riff and higher tempo turns the breakup anthem into a sun-kissed summer jam that makes you actually believe that Shaylen is indeed okay. Route 94 – House & Pressure – House music doesn’t generally get much attention outside of fans of the genre itself, but Route 94 has always had a knack for garnering cross-genre appeal. House & Pressure is an insanely catchy track that even the biggest house music haters can’t help but get down to. Expect to hear this all over the festival circuit this summer. Lorde – Sober – I could put half of Lorde’s new album Melodrama in this list, but I’ll just stick with my favorite. “Sober” isn’t a song about the joy of sobriety, but rather the fear of it. It’s a party anthem in a dark way that only Lorde could pull off. The ecstasy of drinking away the weekend is always shadowed by the lingering fear of eventually sobering up. It’s dark, it’s playful, and it’s intensely relateable. ODESZA – Meridian – I can almost guarantee that any time Odesza releases music, one of the tracks is going to end up here. While Meridian isn’t as immediately catchy as “Line of Sight”, the atmospheric instrumental track is exactly why we all fell in love with Odesza in the first place. It’s comforting to know that while the boys are exploring new territory and dipping their toes into mainstream electronic, they’re still diving deep into their roots. What So Not – Divide & Conquer (Noisia Remix) – What So Not’s remix package for Divide & Conquer is straight fire from beginning to end, but nothing can quite top the title track’s rework from Dutch legends Noisia. The trio transforms the slow-tempo trap track into a blistering drum n bass heater that is sure to get you moving. The Floozies – Arithmetic – The Floozies are one of the funkiest bands around right now, and “Arithmetic” is more proof of that. Featuring vocals from Probcause, the track seamlessly blends funk and hip-hop for an undeniably catchy track. Petit Biscuit – Sunset Lover (Slow Hours Remix) – Back in February 2015 a relatively unknown producer by the name of Petit Biscuit released “Sunset Lover” on his Soundcloud. Two years and over 200 million combined streams later, “Sunset Lover” finally has a remix package. Slow Hours takes the beautifully low-key track and turns it into a dance-ready melodic bass track with a drop reminiscent of Illenium’s work. It’s a well-deserved transformation for an incredible song. Those may be the highlights, but we have a lot more brand new music for for your ear holes, including a summer anthem from Icona Pop and a trap banger from Stooki Sound & UZ. 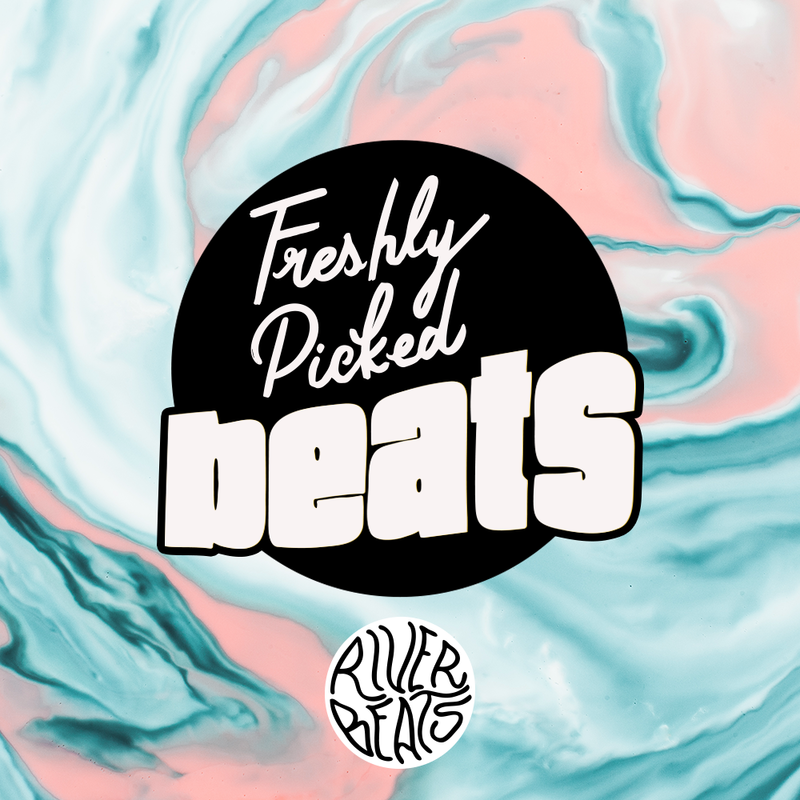 Check out the full Freshly Picked Beats playlist below, and give it a follow to stay updated!